Regular bus service is not guaranteed for students who register after the June 30 deadline. PRIMARY STUDENTS (Grades K-3) and their siblings attending the same school who live farther than 4 kilometers from their catchment area school. ALL OTHER STUDENTS (Grades 4-12) who live farther than 4.8 kilometers from their catchment area school. Please note this does not include the French immersion catchment. Catchment on the basis that in catchment students will have first priority, followed by out of catchment students and followed by out of district students. *Bus routes will not be modified to accommodate courtesy riders. Additionally, fees are not prorated and there are no sibling discounts. Please note that International students (non-resident) are considered courtesy riders. Applications must be made through the International Education Department 604.466.6555. For Special Needs Transportation Services please contact the Transportation Department at 604.466.6236. Eligible students must register for regular student transportation by June 30, 2019. 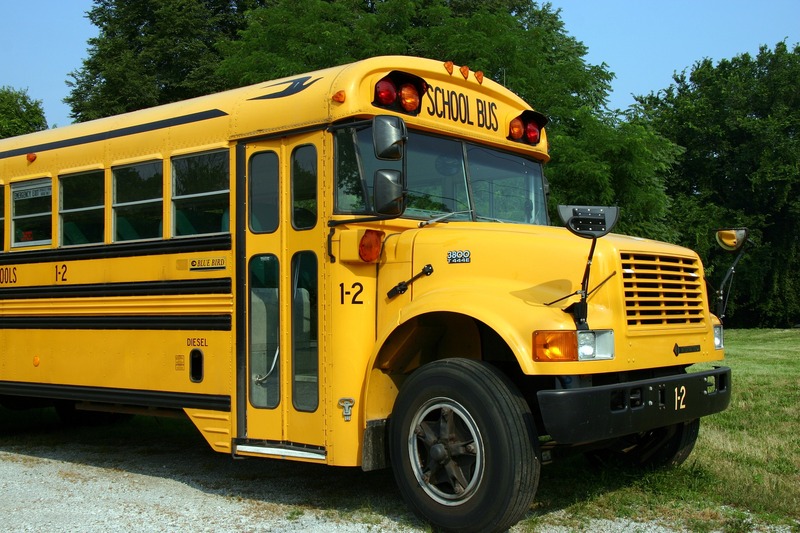 The school district cannot guarantee regular bus service for students who miss the June 30, 2019 deadline. Parents or guardians are required to apply for service each year during the application period. Parent portal registration for regular student transportation is now open. Registered riders are required to use transportation services on a regular basis. Occasional use of transportation services (i.e. less than 50% per month) may result in cancellation of transportation services for the student. School Bus routes and roster confirmations will be made during the week of August 23, 2019. There is no fee for students who meet the eligibility criteria. The annual regular student transportation fee for courtesy riders is $315/child/year. Families who are experiencing financial hardship but do not qualify under the district hardship policy can contact the transportation department at 604.466.6236 to make alternate payment arrangements. Payment or alternate payment arrangements must be made prior to your child riding the bus. If you have any other questions regarding Regular Student Transportation for 2018/19, contact the transportation department at 604.466.6236. In accordance with board policy, low income families can apply for a transportation fee waiver. Do all bus riders need to be registered every year? Current riders are required to register for the upcoming year. All riders from Kindergarten to Grade 12 need to register each year by the registration deadline. The deadline for 2019/2020 is June 30, 2019. Late registrations are processed on a first come, first served basis and a student’s seat is not guaranteed if their registration is received after June 30, 2019. Please note that regular student transportation is not available for students registered in a district program (e.g. French Immersion) offered at a school other than their catchment area school. Which schools have regular school bus service? Regular school bus service is only available to the following schools: Blue Mountain Elementary; Highland Park Elementary; Whonnock Elementary; Webster’s Corners Elementary; Pitt Meadows Secondary; and Garibaldi Secondary. Yes, all riders from kindergarten to Grade 12 need to register each year by the registration deadline. The deadline for 2018/19 is June 30, 2018. What if I have one child in Grade 1 and one in Grade 6 and we live 4.2 kilometers away from the school they both attend? Would both children qualify? Yes. Siblings attending the same school who qualify under the eligibility criteria will also be deemed as eligible students. You must register both of your children by the June 30, 2019 registration deadline. I live 3.5 kilometers away from the catchment school. Can my child ride the bus if there is room on the bus? The Board, at its discretion, may provide bus service for ineligible students for a fee of $315/student/year. If space is available after the June 30, 2019 deadline these ineligible students will be considered for placement as courtesy riders. Space will be allocated as noted in the eligibility criteria section. Can I sign my child up to ride the bus part way through the school year (after the registration deadline)? Yes, you can register for student transportation part way through the year, but the district cannot guarantee a seat will be available for your child. If there isn’t a seat available your child will be put on a waitlist for their assigned route. Once your application is approved, you will be notified if payment is required. Payment will be due by no later than August 30, 2019. No, fees are $315/student/year – there are no discounts based on when a student starts/finishes riding or for siblings. What if I cannot afford the full payment? The school district has a hardship policy and provides full fee waivers for families who meet the low income thresholds. Families who do not qualify for the full fee waiver but are facing financial hardship can contact the transportation department at 604.466.6236 to make alternate payment arrangements. Is there a discount for courtesy riders if a ride is not needed daily or only one way? Because the annual amount of $315/student/year ensures only partial recovery of transportation costs, the district cannot provide discounts for part-time use. If the bus service is no longer required, is there a refund? The school district will only issue refunds if you discontinue the service before the end of the first week your child was scheduled to start receiving transportation service. No, only registered riders are allowed on the bus. Can my child be accommodated if they have different pick-up or drop-off locations? Contact the Transportation Department at transportation@sd42.ca for confirmation; we will try to meet the needs of the student if possible. No, only registered riders are allowed on the bus. Parents and pre-school children are not allowed on the bus. Can my child bring hockey equipment on the bus? No, hockey equipment is not allowed. Only items that do not pose a safety hazard and can be held on the student’s lap or under their seat is allowed on the bus. No, booster seats are not allowed because they cannot be secured on the bus. Can my child eat or drink while on the bus? No, children cannot eat or drink while on the bus as it could create a safety hazard.